‍‍‍Sean heads our engineering and customer services, making sure that our high standards of‍‍‍ workmanship and unique customer service are further developed as we grow in size. Adam is a highly experienced installation engineer and has been with us over 10 years, Adam has installed just about every imaginable configuration of domestic Gas, Oil and LPG heating system. William leads our system servicing and CP12 Gas Landlord Safety inspection team. With a wealth of experience, William keeps our customers systems running and our landlord clients compliant with the law. Trained by Sean, Jake leads our plumbing services team. Near to completing his Gas Safe examinations, Jake has already gained a reputation for outstanding workmanship. Andrew leads our day-to-day customer support in addition to spreading the UK Boiler Care message to homeowners, landlords and letting agents across our customer area. Adrian's focus is on growing UK Boiler Care in a sustainable way by developing new innovative business lines and forging long-term commercial partnerships. Sarah makes sure that our internal systems run like clockwork and provide the support our engineers need in the field. Sharon ensures that our employees, systems and working practices are, at all times, in compliance with the rules and regulations set by our industry regulators. David advises on all aspects of corporate governance and legal obligations. With two very young children, I cannot be without hot water. UK Boiler Care restored our hot water the same day. I hold a Gold Cover maintenance plan. At 8:30 am on a winter's day, I reported that my boiler had stopped working. By 10am, the engineer had visited and fixed the problem. A fast and efficient service. 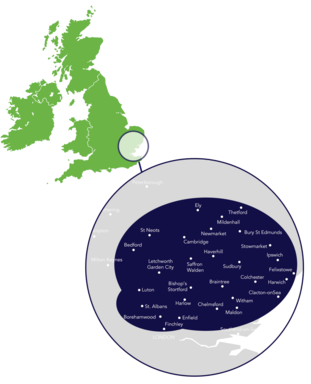 Based in the Eastern Counties, UK Boiler Care is a well‍‍‍ established family owned and run heating engineering firm with an outstanding reputation for quality and speed of service. Established in 2007 by Sean Whiting, UK Boiler Care has built an outstanding reputation for first class customer service, workmanship of the highest quality , flexibility and fast response times. After ten years as a British Gas engineer, Sean was convinced that customers in the region deserved the best of all worlds - first class technical skills but with the great benefits of flexibility, dependability and speed of r‍‍‍esponse that can only be provided by a local firm that employs its own engineers and support staff and is committed to genuine customer service. Today, we are considerably larger than in 2007 and as we continue to grow we will maintain th‍e standards that set us apart.